It’s that time of the year again… the holiday season. This is a time of year in which to be joyful and happy, and to celebrate together with our families. Perhaps nothing is more challenging than getting through Pesach with your health and weight intact. As daunting and challenging as this may seem, a few little tricks and just a little self-discipline can get you through virtually unscathed. 1. Don’t skip meals – especially right before the Seder. Make sure you eat a healthy breakfast and a light meal before the Seder. 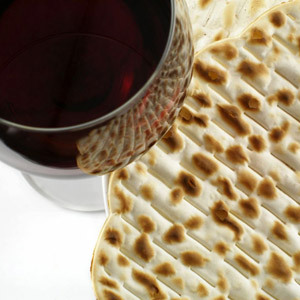 Remember: you will not eat your Pesach meal until late, and if you are very hungry, you may overeat at the Seder meal and/or nibble on too much matzah. 2. 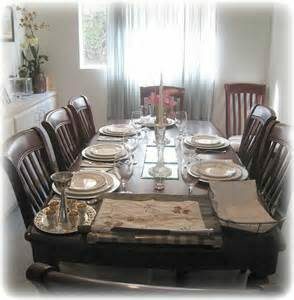 Yom tov meal planning – Plan healthy Pesach meals with YOU in mind. Just like on Shabbos, make sure there are healthy alternatives of your favorite dishes. There are a lot of healthy Pesach recipes on the Internet. 3. Sit down – When cooking, make sure to eat sitting down to avoid over-tasting. Put a piece of gum or a mint leaf in your mouth. The extra second it takes for you to remove the gum will give you time to think twice! Eating requires being seated at a table and having a real meal or snack. Don’t graze! 4. Avoid the “All or Nothing” approach to eating. If you overate at a meal or ate too much of an unhealthy food, move on and start making healthy, balanced choices again. Every small step helps. Remember: a tzadik falls 7 times and gets up 8. 5. Oil and potatoes – If you don’t use canola oil because of kitniyot, chose walnut oil instead of palm oil, which is high in saturated fat. Your health is worth paying a little bit more. Potatoes are a very starchy vegetable. They contain more carbs and more calories than other veggies. Over-consumption isn’t good. On the other hand, having some baked potatoes here and there isn’t going to be harmful, especially if you can work activity and exercise into your day. 6. Snacking -Make sure to have healthy snack foods handy. Overeating or eating too much of an unhealthy food often occurs because you are too hungry to make wise decisions, or there are no healthy alternatives. Keep cut up veggies, nuts, and cheese available for snacking and…. 7. Shopping and menus – PLAN PLAN PLAN!! Just as you are planning the Seder and your Pesach cleaning in advance, you can also plan your meals so that you are not left hungry or to noshing unconsciously. Plan you daily menus, shopping and snacks so that you have plenty of healthy options and you don’t skip meals. 8. Matzah – How much matzah can you eat? 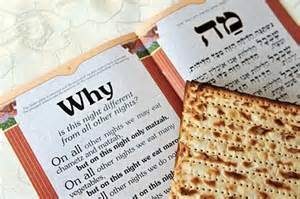 One square of matzah is equal to 2 servings of carbohydrates, and 1 round matzah is equal to 3 servings of carbohydrates. Try to buy whole wheat or spelt matzah. The fiber in the matzah will help you feel more full, and may help counteract its other unpleasant effects. 9. Portion control – In order to keep a handle on the over-eating problem, try this. Take a reasonable portion on your plate, and if you are truly still hungry after you eat what’s on your plate, take seconds of a cooked or raw vegetable or fruit. (If you are permitted to eat legumes, take a brown rice dish). Remember that drinking water may also make you feel full. So, drink up before you start your meal. And for all you matzah lovers out there… Remember that although we are commanded to eat matzah on Pesach, we are not commanded to eat mass quantities of it for the entire length of the chag! 10. Stay active – No need to do an exercise session during the Seder! But, don’t sit around either. Nice long, brisk walks, particularly after your meals, are a great idea. There is nothing worse than throwing yourself into metabolic rigor mortis by falling asleep immediately after a meal. When you are finished with the walk, stretch a little and then you can take your nap. How many times do we hear that phrase during the year? Plan now so that after Pesach, you are committed and ready to take on a program that can change your health and your life! Set up an appointment for health and fitness assessment now. No more excuses! We need not create more stress in our lives than we already have. Instead of saying “After Pesach”, resolve to get started with good and healthful habits right now. Our team of Registered Dieticians offers an easy to understand guide to basic exchanges between chametz items and Pesach staples. Nice — useful — thanks!